Ratna Vira is the bestselling author of ‘Daughter By Court Order‘. Her second novel, It’s Not About You, releases in April 2016. It is an urgent, contemporary tale that celebrates the persistence of the human spirit to fight against all odds. 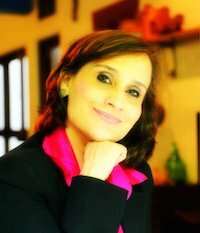 Ratna holds a masters degree from the London School of Economics and Political Science, as well as a masters in English Literature from St Stephen’s College, University of Delhi. She also holds an MBA. Ratna juggles her corporate career with her writing and love of art. She lives in Gurgaon with her daughter and son, where she is at work on her third novel. Ratna has spoken at leading universities, international business schools, corporate occasions and been part of several panels. For speaking assignments, she can be contacted through the Outstanding Speakers Bureau.